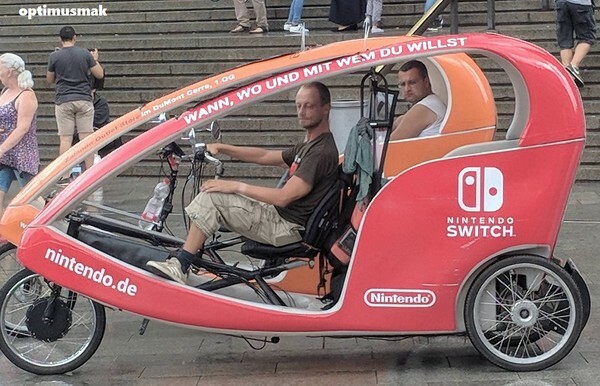 A rickshaw decked in Nintendo Switch design has been spotted in Cologne, Germany. It’s a cool way of marketing the Switch, don’t you think? Let us know what you think in the comments below!